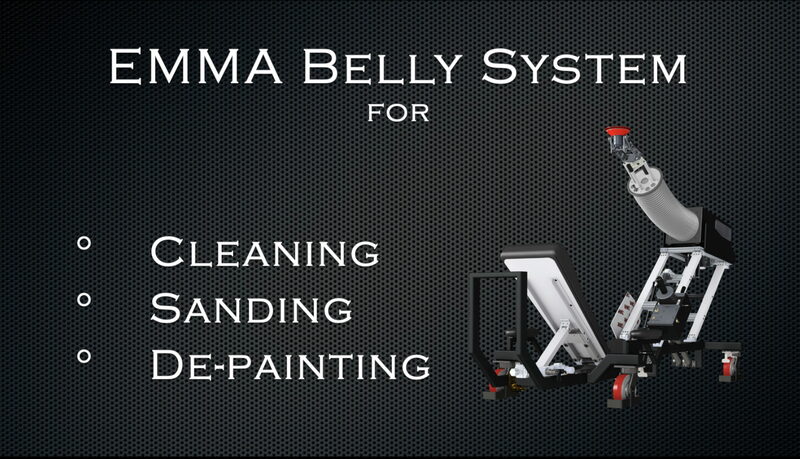 The first video introduces the Auto-sweep feature now available on all EMMA™ Systems. The second video shows a compilation of clips showing our EMMA™ Stand Systems - both TSS and TSS D-90 - performing a variety of Aerospace manufacturing and maintenance operations, including surface reactivation, filler/surfacer feathering, and full de-paint. The sixth video is footage of recent Grinding End-effector testing, utilizing the AutoSweep feature. Temple Allen equipment can wield a wide variety of tools, and for each application we conduct testing to determine the optimal combination of tool type, horsepower, rpm, abrasive, backup pad, sander angle, applied contact force, etc. This footage was shot using a 3M 28773 right-angle grinder (1 HP, 3,500 RPM), with a 3M 947TH backup pad and 3M 900DZ P80 abrasive. The seventh video introduces our SAM™ Family of abrading machines. SAM is designed to conduct a range of surface preparation tasks normally performed by artisans bending over or on their knees. SAM allows the artisan to stand comfortably and perform the same tasks while being protected from vibration, dust, and poor postures.